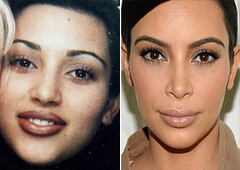 It’s difficult to surprise anyone with Hollywood makeovers and plastic surgeries because they are so common. At the same time, there are not many female celebrities in Hollywood that are discussed in association with plastic surgeries more than Megan Fox. Everyone seems to have their own opinion on what plastic surgery has been endured by the actress, but it can be quite difficult to say exactly because things like makeup and changing the shape of the eyebrows can significantly influence a person’s appearance. If you have been living under a rock for a past couple of years and you don’t know anything about this beauty, here are some facts for you. Megan Fox, born on the 16th of May, 1986, in Memphis, Tennessee, is an American actress and model most famous for playing a role in the blockbuster sequel Transformers alongside Shia LaBeouf. Other popular movies featuring Megan Fox include Jennifer’s Body, Jonah Hex, This is 40, and, most recently, Teenage Mutant Ninja Turtles where the actress plays a role of April O’Neil. The actress and model is often listed as one of the sexiest females in the world, so we can definitely say that taking care of the appearance is Megan’s priority. While it’s quite easy to forget, but celebrities are human beings just as everyone else, which means that they can experience the same skin issues as the mere mortals – acne, discoloration, scarring, etc. In the 2005 photo of Megan Fox, I could notice some acne scars that were noticeable even when covered by the foundation. When looking at more recent photos of the actress (For example her Facebook or Instagram), the surface of her skin appears completely smooth and she doesn’t seem to have any freckles. My guess is that Megan resorted to some type of laser treatment, such as Fraxel. 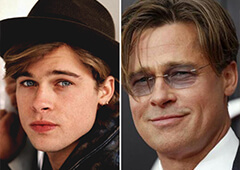 Rhinoplasty is definitely a number one plastic surgery among famous people, which is not at all surprising. Improving the shape of the nose can completely change the face and draw more attention to the eyes. When it comes to Megan, it seems that her nose changed quite a bit since she became famous. Comparing the pictures made before 2008 and after, I could notice that her nose looks quite different. After a potential rhinoplasty, the bridge of the nose is narrower while its tip looks a lot more defined and pointy. Also, the noticeable cleft on the nose seems to be completely gone, which is also something that leads me to believe that she had plastic surgery. Full lips are insanely popular nowadays with people trying all kinds of makeup tricks and fillers to create a desirable pout. Megan Fox has always had quite full lips with the bottom lip slightly bigger than the top one. At around 2009, Megan’s top lip starts to look fuller, which may be a result of the lip injections, probably using hyaluronic acid. It’s difficult to say whether both of her lips were enhanced or they just seem bigger overall because of her makeup. Botox is usually a best friend of more mature women, but there are some who decide to experiment with these injections quite early on. Media has repeatedly speculated about Megan’s possible Botox injections, which even prompted the actress to take pictures of her making faces and moving her eyebrows to show wrinkles on the forehead and dispel the rumors. Still, the general public was not convinced. Starting at around 2010 the actress has a completely smooth forehead without any fine lines, which may be a sign that she does use Botox injections. At the moment, the actress is 30 years old, but her forehead shows zero signs of aging. If there is one red carpet appearance that got everyone talking about the potential plastic surgeries of Megan Fox, it is definitely the one at the premiere of Jonah Hex in 2010. 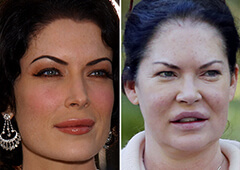 The cheeks of the actress, who naturally has an oval face, looked a lot more prominent and lifted, thus making people talk about the possible cheek fillers. It’s safe to say that if there were any cheek fillers, they were temporary because, in 2011, we could see Megan with a much more natural looking face. Still, even now, Megan’s face seems to look a lot more sculpted with defined cheek bones in comparison to her pictures from several years ago, which may also have to do with her losing baby fat. Another change that I could notice when looking at before and after photos of Megan Fox is how different her eyelids look. At the beginning of her career, Megan eyes were not exactly hooded, but they were definitely not as open as they are now. There seems to be a lot more space between her lashes and the eyebrow bone, which may be a result of the eyelid surgery. 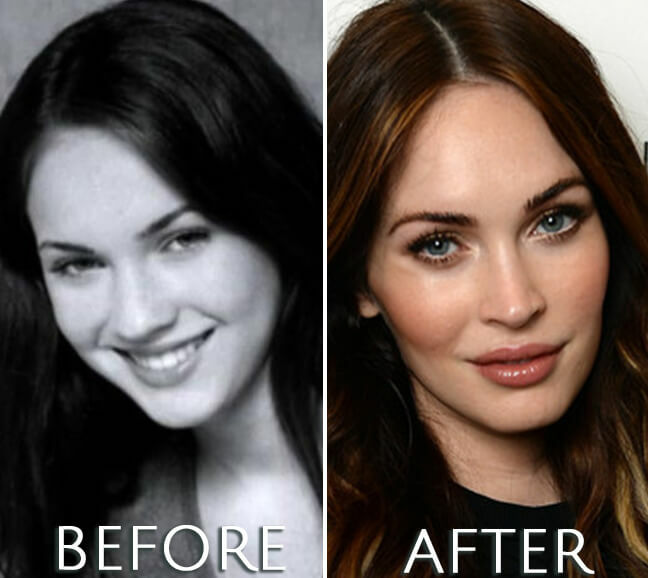 It’s virtually impossible to tell exactly how much plastic surgery has been undergone by a person by simply looking at the photo, and Megan Fox is not an exception. For someone so young, her face changed quite significantly over the years, which cannot be attributed to aging. In my opinion, the actress may have decided to enhance her face with the nose job, slight lip injections, Botox, and temporary cheek fillers. I would encourage anyone to first speak with a therapist, to try and figure out where this want comes from, because a lot of times it’s not related to your teeth or your nose or your chin – the surgery is not going to alleviate that insecurity for you. If, then, you feel “This is something that I want to do,” then do it. It’s amazing that we have the technology to do the stuff that we do. Judging by this response, we can confidently say that the star of Transformers is not against plastic surgeries.